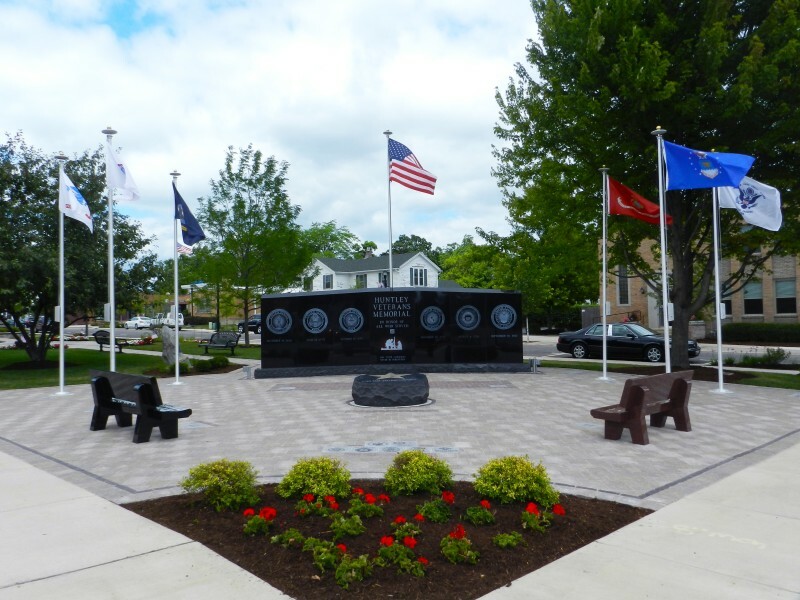 Help us honor local veterans by registering them for the Huntley Veterans Memorial! The Huntley Library Local History Department hosts the Huntley Veterans Memorial Register. The Huntley Area Veterans Foundation was founded in 2014 with the purpose of honoring area veterans. A black granite monument honors the 6 branches of the military including Army, Navy, Air Force, Marines, Coast Guard and National Guard. If you have served in the military, be certain that you are included in the Huntley Veterans Memorial Register by completing a short online form. Please note: This register reflects data gathered from multiple sources and individuals who have self-reported this information.